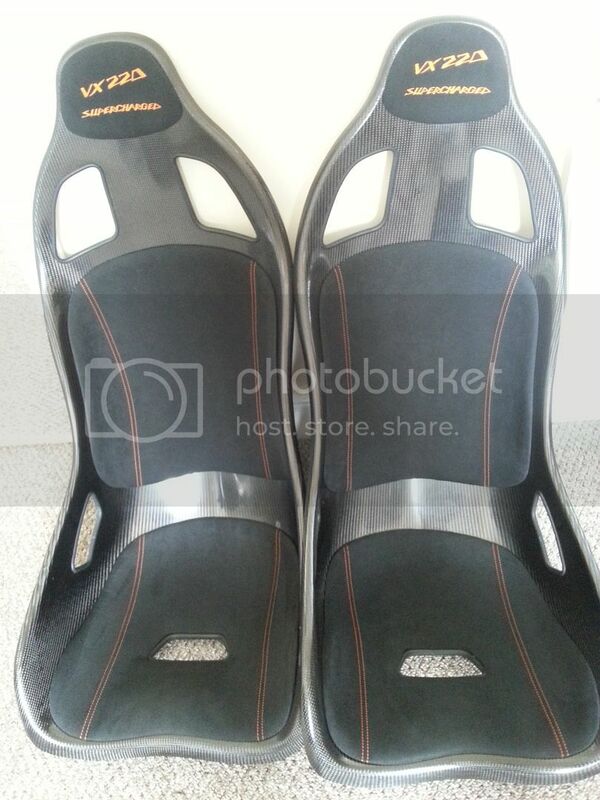 Does anyone have those corbeau VXR-alike seats? Yep, me. Reasonably priced compared to alternatives, comfy, supportive, proper holes for harness, lightweight and look good. You do need Elise subframes to fit easily though, without modding existing mounts. How are they for lateral support, dont look like they grip you much. I find them supportive, not being leather you slide around less! Not sure how you could have a seat with larger bolsters in the VX as it would be difficult to get in/out. I also use the 4 point harness on the track so stuck in place well. He has the seats that would hold you in.. Trying to find a photo for you of one..
Edited by mbes2, 20 August 2015 - 08:20 AM. No it's not a Lamborghini! They look great, how much do they weigh? 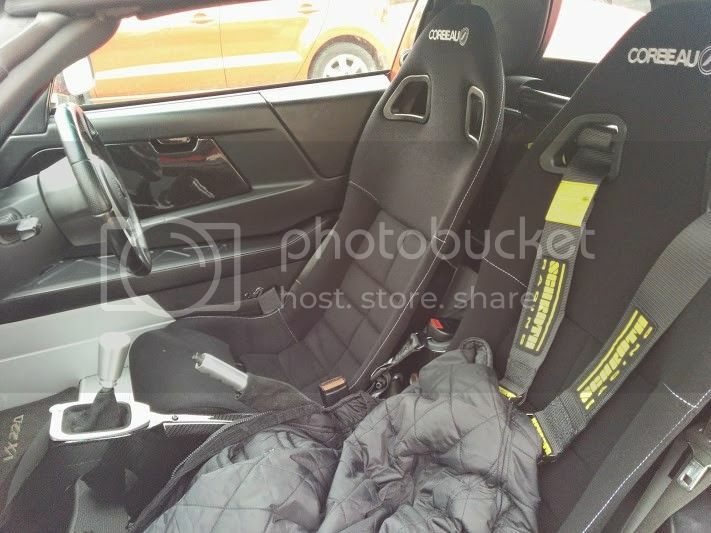 Can you use the seats with standard belts, as thats a must for me also. Any idea where you got them from and how much? Which sub frames do you need to fit these? And is there any butchery involved or do the bolts all fit fine? I'm about 80% there with a set of these in mind, as soon as I get close I read a thread about re-drilling holes etc and think screw it. I didn't weigh them, but an article on the website below I read before buying them says "6.5kg's each (without the seatframe). The original seat is 7.4kg." I did a bit of research online and found they are only direct fit for the early S1 Elise/Exige. 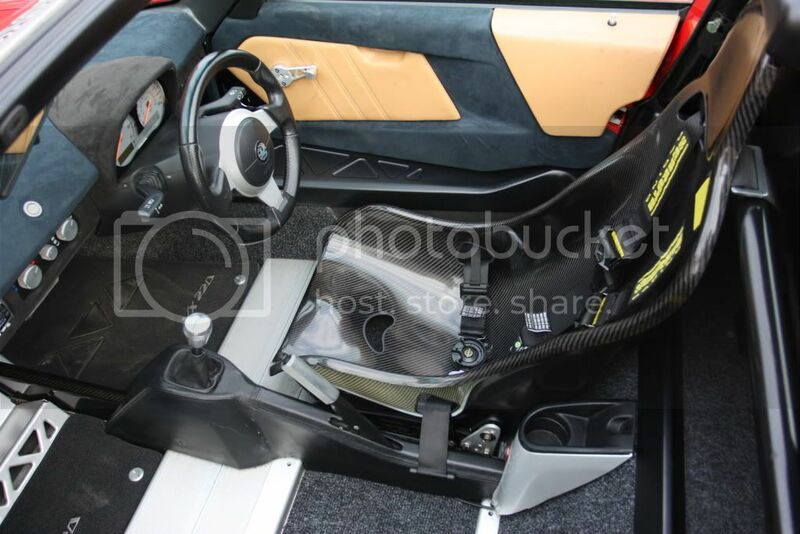 So you will need to source a set of early S1 subframes as the bolt positions are slightly different to the VX/Elise S2, luckily the S1 subframes bolt straight into the VX, it is just the upright side mounts that bolt into the seat that are at a slightly different position. You can butcher the original subframes & drill etc but I wanted the option to revert back to standard seats when I eventually sell the VX. That was the link I read about the washers and issues. What sub frames did you use jinxy? Edit: Saw your reply after I posted. Cheers. Edited by sford, 20 August 2015 - 01:16 PM. Yes, I have both 4-points and seatbelt fitted still. The harnesses are tucked away behind the seat for road use and original seatbelt still usable. Sounds like a good alternative to me. What about a harness bar behind them? Just seen these on FB, look amazing. Im a sucker for carbon, can you post a photo of the weave close up, especially round the sharper corners. I wonder if they are wet lay, or proper pre preg carbon. Jon Betts harness bar - do a search on here. Here is the differences between the subframes. Thats what iv got, so i should be alright then. Will have to see if i can get a sit in one at some point. Are they alot better than the standard seats, and worth the cash?